Ua..what is Papa doing? 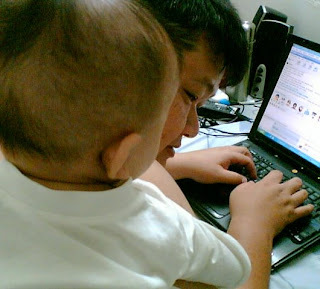 Papa playing computer. I wanna play too. Teach me, teach me. 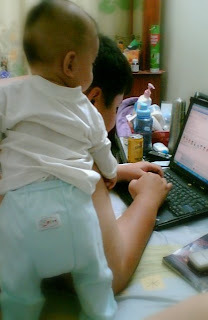 Oh...this is how to use laptop ya, Papa? Let me try. Alamak! my hand too short. Papa buy me a baby laptop, pleeeeeeaaaseee. I saw one in Giant.